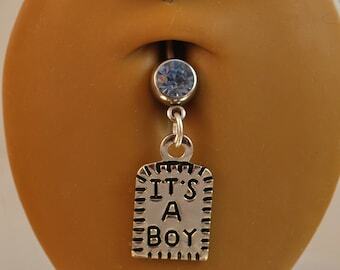 This cute little charm belly button ring has a little shirt with the words BABY on it ! A great way to announce you are having a baby or add a cute accent to pregnant belly pics. 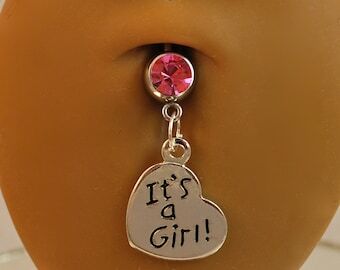 :) This is perfect for early in the pregnancy before you need the extra length of a flexible pregnancy belly button ring. 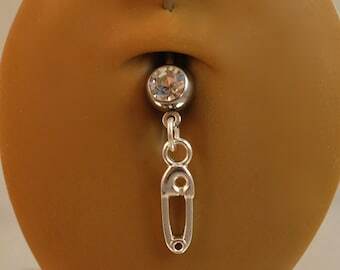 The silver charm is attached to a clear crystal double gem belly button ring. It comes with a 5mm clear crystal gem ball on top as shown. 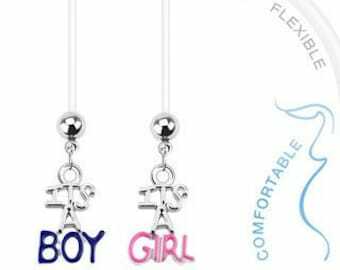 After your pregnancy you can easily open the oval jump ring and add another charm to the belly button ring if you wish, or even wear it with no charm attached.